No Arizona residency is required. Couples must appear in person to obtain a license. There is a $76 fee. Contact the Court of Clerk’s office before you go for what payment method they accept. Most take cash or check only. The marriage license is valid for one year from the date of issue. There is no waiting period after you obtain your license. 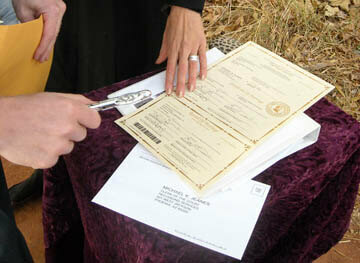 Marriage licenses are usually processed within 15-20 minutes. 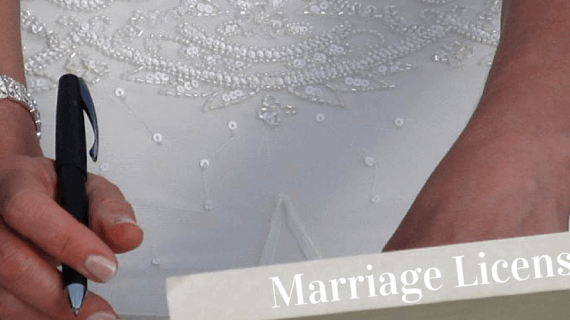 Two witnesses (at least eighteen years of age) must “witness” the wedding and sign the marriage license after the ceremony. The closest offices to Sedona are listed below. Please note they are only open Monday – Friday from 8 a.m. to 5 p.m. and are closed on weekends and holidays.